On the twenty-eighth of Rajab of 1342 AH, Britain, the head of Kufr at the time, with the help of Arab and Turk traitors, led to the destruction of the Khilafah state. 98 years ago, the criminal Mustafa Kamal abolished the Islamic Khilafah. Since then the Muslim Ummah have no guardian that governs it by the book of its Lord and the Sunnah of its Prophet, but instead, the colonizer Kuffar have appointed on the Ummah a group of subdued agents who do not disobey them, and do what they are commanded, the Kaffir move them as if they were pawns in the chessboard. … 98 years and the Islamic Ummah is like foam of the torrent, they have no value or weight after the Kuffar and their agents destroyed the secret of its strength and origin of its pride, namely Islam and the Khilafah State (Caliphate). Hizb ut Tahrir, which you know well for decades, is the leader who never lied to you, and did not give up or retreat. Rather, remained like the solid mountains, working night and day to show the Ummah this lost obligation, the crown of obligations. Only under it that all obligations are fulfilled, who will lead the armies to liberate Al-Aqsa but the Khalifah? And who lifts the injustice and murder that falls on Muslims all over the world except the Khalifah? And who will implements the Book of Allah, which approached hundred years of its disruption, reviving its rules and implementing its Constitution and its system? Who…who…who except for the Khalifah and the State of the Khilafah?! 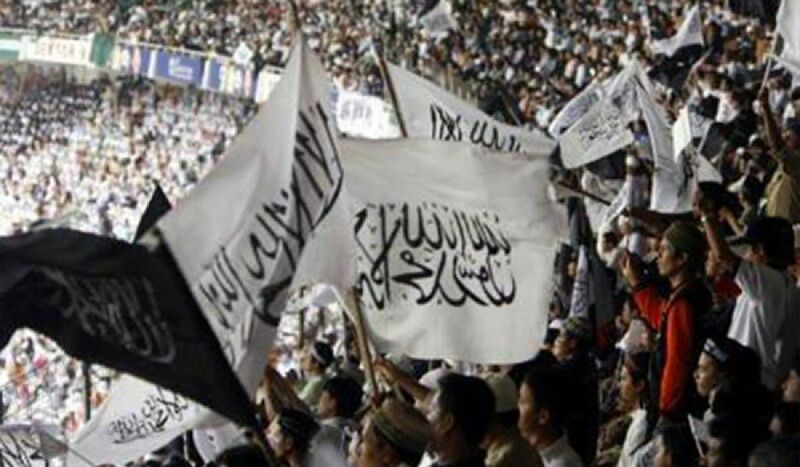 Therefore, it is not surprising that Hizb ut Tahrir will make the work for the Khilafah (Caliphate) its manufacture and its products, and it will remain so until the Messenger of Allah’s glad-tiding for this Ummah is achieved: «ثُمَّ تَكُونُ خِلَافَةٌ عَلَى مِنْهَاجِ النُّبُوَّةِ» “then there will be a Khilafah on the method of Prophethood” and will continue to ask the Ummah and its armies to work with it to establish the Deen of Allah on the method of Prophethood.